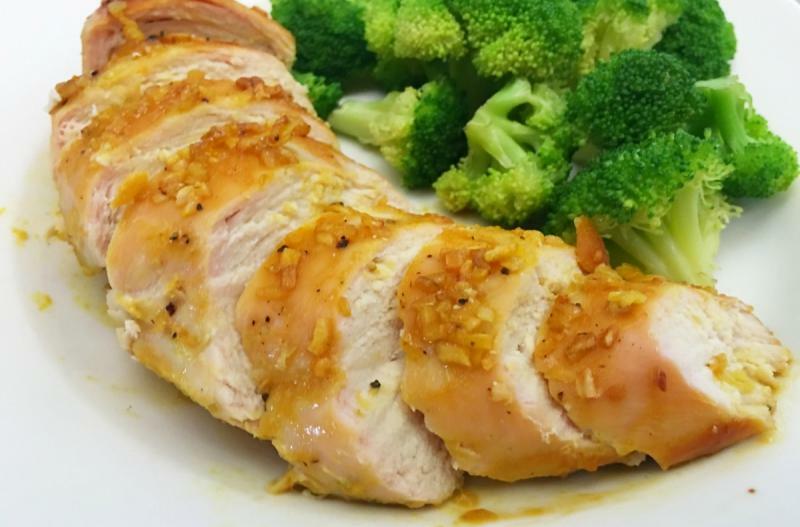 These simple ingredients add so much flavor to this juicy chicken! Would be delicious on a salad too! In a large mixing bowl, whisk together the honey, Dijon mustard and minced garlic. Add a little salt and pepper and then whisk the marinade. Add the chicken breasts and coat them in the marinade. *Put in the fridge and marinate for at least 30 minutes. Grill the chicken breasts for 6 to 8 minutes per side, or until cooked through. Cooking time may vary depending on thickness of the chicken. Serve Grilled Garlic Dijon Chicken with dinner rolls and salad. In a large mixing bowl, whisk together 8 Tbsp honey, 8 Tbsp Dijon mustard, 4 tsp minced garlic and salt and pepper. Put baggie in the freezer and freeze up to 6 months in fridge freezer or 12 months in a deep freezer. Thaw chicken completely in the fridge overnight, or a warm bowl of water for about 20 minutes, before grilling. 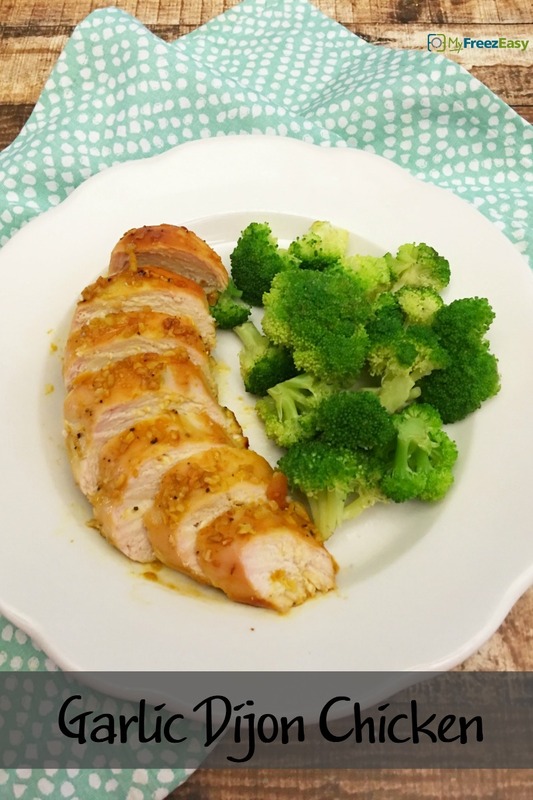 Thaw chicken completely before grilling for 6 to 8 minutes per side, or until cooked through.